British-American rock band Fleetwood Mac will be going on tour in 2013 according to singer Stevie Nicks. Stevie stated during a television interview that the whole band were on board, however, there are currently no plans to record another album. 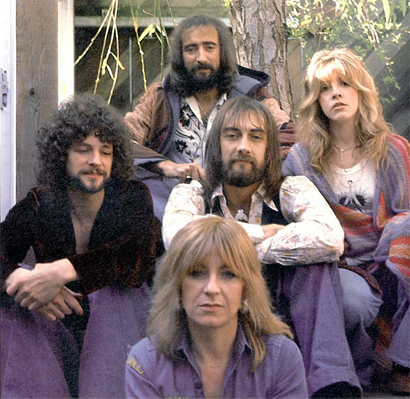 Fleetwood Mac formed in the 60s but didn’t reach mainstream success until the release of their 1975 self-titled album. It contained some of their most famous tracks including ‘Over My Head’, ‘Landslide’ and ‘Say You Love Me’. In 1977 came the album ‘Rumours’ which drew critical acclaim and a Grammy award for the ‘Album Of The Year’. ‘Rumours’ also included some of their most well-known tracks ‘Dreams’, ‘Go Your Own Way’ and ‘The Chain’. Since their last tour in 2009 the band have suffered multiple blows from the deaths of various members. Bob Brunning, the original bassist, passed away in October 2011, then Bob Weston who played guitar on several albums passed away this January, and last month guitarist and songwriter Bob Welch took his own life. Fleetwood Mac’s last album was 2003’s ‘Say You Will’ and since then both singers, Stevie Nicks and Lindsay Buckingham, have released solo albums. Mick Fleetwood cited this as a reason that the band have not recorded any new material, “Stevie will not let her album go," he said. "I don't believe Fleetwood Mac will ever tour again, but I really hope we do." It looks like he's going to be proved wrong!